On July 1st, I was looking for bugs everywhere. I found a few, but had expected something more. Today, it was a lot more like I had expected! It seemed like there were beetles everywhere! 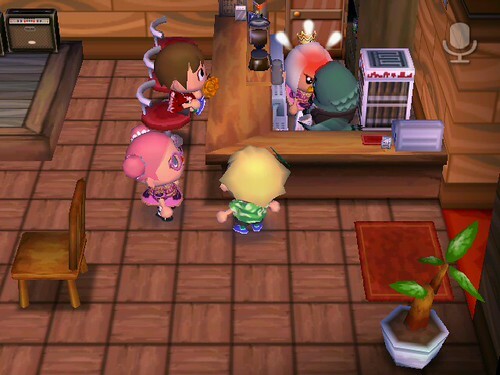 It’s fun to watch hackers run around their towns, even in places where you normally can’t reach! I couldn’t stay in Castletown too long. Sadly I had to let an Atlas beetle fly away since my pockets were full, so I decided that was my cue to head back to Shaolin. Besides, I was expecting visitors at home! My new friend Miao wanted to come by and copy some of my Japanese furniture, and Vella was going to visit as well. Once Vella arrived, we started finding beetles everywhere! It was around 11pm, so it was prime time to catch big bugs. We found Elephant beetles, Atlas beetles, Hercules beetles, Scarab beetles… you get the picture. It was awesome! I couldn’t wait to donate them all to the Museum. 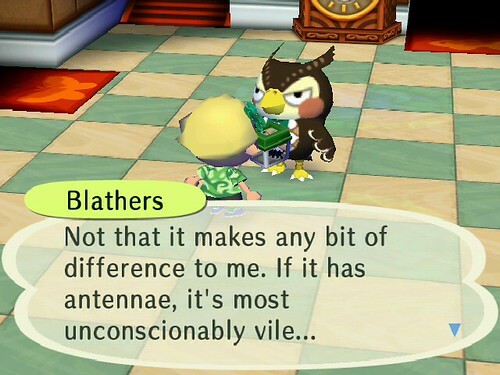 What was Blathers going to do when I brought him piles of large stinky beetles? I wasn’t too surprised by his reaction. Despite the gross-ness of the new donations, I had to go check out the Insect Exhibit and see everything in it’s new place. 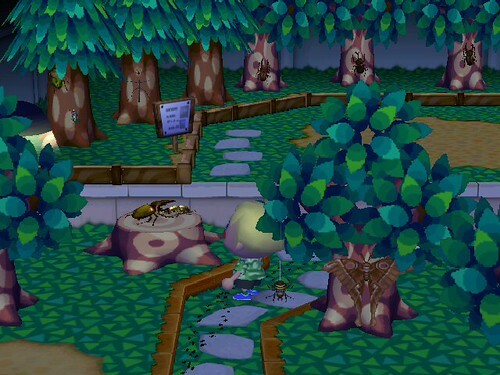 My favorite to look at was the Hercules beetle battling the Golden Stag beetle on a tree stump! Miao had told me that she’d already caught 4 hammerhead sharks in Hang. I decided to give it a shot. After searching high and low, up and down the beach, I saw nothing but sea bass and smaller fish. No fins at all! I did manage to catch an Atlas beetle for the Museum, which was good. While I didn’t find what I was looking for, I still felt like I had accomplished a lot! There are so many bugs and fish to catch in July, I can’t expect to get them all in one day, right? I went home and proudly donated the rest of my bounty to Blathers. Then I walked home, just to check my own beaches for sharks before bed. Near my house, I saw a Goliath beetle on a palm tree. 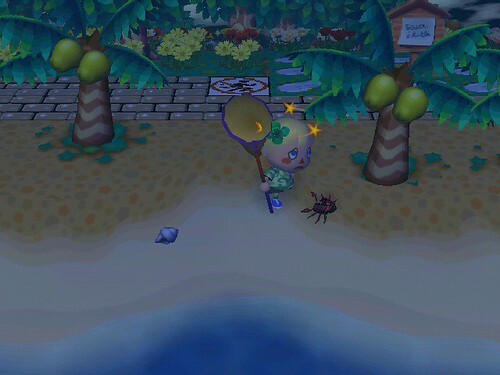 I netted it like a pro and crept along the beach, in case another bug was waiting for me. And there was. omg! grats on at least seeing the scorpion. I’ll have to try and run around at night and see if I can find him or the tarantula. But alas, it’s raining in Doomdoom again today. Congrats to seeing the scorpion and all those rare beetles. I haven’t seen it, neither do I catch beetles like Elephant beetles, Hercules beetles, Scarab beetles. I don’t see any fin along my sea recently, if I see it, I will email you.